Learning to drive is a rite of passage for all young people. But, as a parent, is it causing you some sleepless nights? In a study of over 20,000 young drivers in NSW, self-reported risky driving behaviours were associated with a 50% increase in the risk of crashing. So here are the main crash triggers for teenage drivers, along with some tips on how to avoid them. First-year Provisional drivers are three times more likely than more experienced drivers to be injured in a crash if they have been drinking, studies show. The risk here extends to all young drivers; drivers in their twenties have at least five times the risk of crashing compared to drivers in their thirties, for all levels of alcohol consumption. Action: Make it clear to your child that both first-year and second-year Provisional drivers must have zero alcohol levels when driving. Not only is it illegal but highly dangerous to drive after drinking alcohol or using any other drug. Even small amounts impair judgement and reaction times, potentially lethal in an inexperienced driver. Using a mobile phone when driving is illegal full-stop. The risk of crashing when using a mobile phone increases four-fold, while the risk of driver death is between four to nine times higher than when not using a phone. It’s also been found that young drivers are more likely to be severely injured in a crash when distracted by texting or speaking on a mobile. Most night-time fatal crashes among young drivers occur between 9pm and midnight. Night driving requires more skill and experience, as our normal vision and senses are altered. But young drivers will tend to have social gatherings and parties at night, so they are more likely to be distracted or encouraged to take risks. 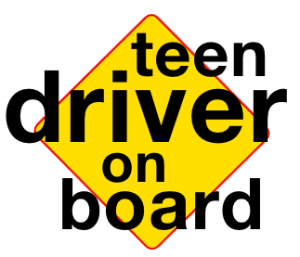 Action: Restrict your teen’s driving after dark, specifically after 9pm. Do drop-offs or pick-ups yourself, or take turns with other parents. Order a taxi for your child if necessary. Remind your child that it’s not only their own life they’re risking – they might kill or maim others too, something they will live with for the rest of their lives. Australian studies have shown increased risk of death in a crash for probationary drivers who carry more than one passenger. Action: Limit your child’s peer passengers at all times. Be firm – it’s simply not worth the risk of distraction. Some states, like Victoria, limit P-plate drivers to carrying no more than one peer passenger aged 16-22 at all times of day and night. Co-ordinate and cross-check with other parents if you think the rules are being broken – your children will thank you for it one day! What else can you do to help your teenage driver? Keep up the supervised driving. This should continue even after your child has graduated from learner driver to p-plater and full licence. Driving skills in heavy traffic, bad weather or on the freeway need constant repetition and graduated learning to master. Hammer home the seatbelt message. Seat belts must be worn at all times. Use tends to be lower among younger people, so don’t slack off on this one. Choose their car for safety, not image. Small cars, though convenient and cheaper, don’t offer the best protection in a crash. Avoid cars with performance images that might encourage speeding. And some, with a higher centre of gravity, are more prone to roll-over. Get your child to sign a Safety contract! Check out the Progressive Teen Driver Term Sheet here.